Apple’s upcoming show, Carpool Karaoke, will consist of sixteen half-hour episodes that will air on Apple Music and feature a different host every episode, Variety reported Monday. 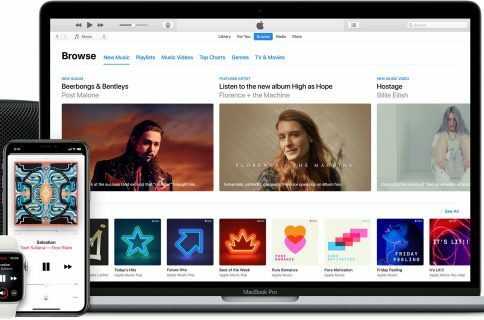 Based on James Corden’s Carpool Karaoke viral segment during CBS’s Late Late Show, Apple’s version will use a format that is more of an interview series with outside-the-box pairings like Billy Eichner in the passenger seat, surrounded by the band Metallica, or former NFL star and talk show host Michael Strahan and NASCAR driver Jeff Gordon. The more traditional pairings include such names as John Legend and Alicia Keys and Seth MacFarlane and Ariana Grande. Produced by Eric Pankowski, Ben Winston and James Corden, Apple Music’s Carpool Karaoke will highlight various stars that didn’t appear on Corden’s show. Apple purchased rights to the show in July 2016. At the time, Apple exec Eddy Cue called Carpool Karaoke “a hit with audiences of all ages” and also “a perfect fit for Apple Music”. Apple has yet to announce an air date for the show. Apple recently aired its first-ever documentary on Apple Music about Roland’s popular drum machine. Aside from Carpool Karaoke, the company is currently working on two additional shows: a scripted drama starring Dr. Dre and an unscripted reality show focused on apps.